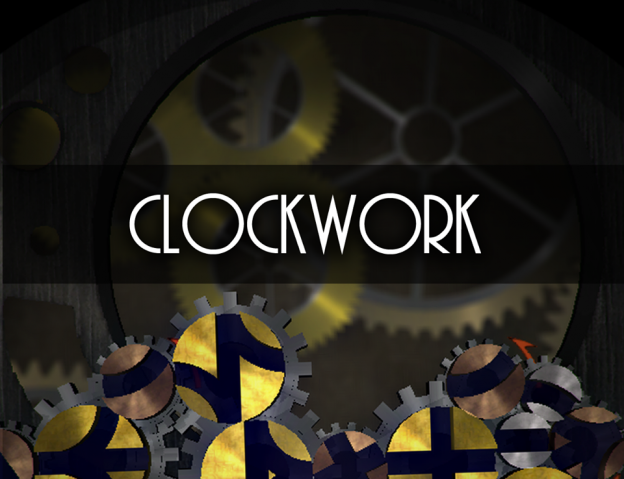 Clockwork is a co-op interactive puzzle labyrinth game: it’s designed for 2-8 players and all age groups, and it’s meant to be played in a party atmosphere. In the game, prevent marbles from falling into the abyss as they tumble down the gears of an intricate clockwork machinery. All designed in Unity 3D. The game was born out of a GameJam sponsored by Grasshopper NYC who made a huge touchscreen tabletop computer that is designed to be played in bars and adult lounges. Basically, touchscreen games designed for drunk people to have a good time. A lot of awesome games got created for this. My role in the team, currently going by team ‘Touching is Good’, is to work on C# Unity scripts to help some of the game functionality. I streamlined the gear rotation scripts so that cogs would rotate a little more smoother and not panic if a player rotated a full 360 degrees. I also created an auto-level generation script that randomizes cog placements each time. I came into the project much later after being invited by Marist College alumni Mark Monaco, which happened after the team won the GameJam. The game was featured at Come Out & Play NYC: After Dark Festival. It was a huge collection of indie game creations, and Grasshopper had our game and others featured on their touchscreen computer. It was quite awesome to see so many people have such interest in Clockwork, and how far they could get together as a team. Collaborating 8 different people to get the ball from one side of the screen to the next was certainly challenging, but many groups pulled it off!